What would the Battle for Azeroth look like if Gallywix hadn't shared Azerite? Everything we do in World of Warcraft hinges on a few key moments. Arthas chose to burn Stratholme and pursue Mal’ganis to Northrend, becoming the Lich King in the process. Thrall chose Garrosh to succeed him during the Cataclysm, which had far-reaching consequences for not only Pandaria but Draenor as well. With the fall of Sargaras and the Burning Legion, Trade Prince Gallywix made another choice. He chose to tell Sylvanas about the new substance found in Silithus: Azerite. During the Horde war campaign, Gallywix has a moment of introspection — which doesn’t last long, as he’s still a Goblin after all — where he wonders what could’ve happened differently if he hadn’t told Warchief Sylvanas about the destructive properties of Azerite. We already know what followed from that choice. Tensions had been mounting between the Horde and Alliance ever since the disastrous assault on the Broken Shore. Greymane assaulted the Horde in Stormheim, ruining Sylvanas’ plans for a new source of Val’kyr. A new war was already brewing between the factions. It only needed a catalyst — which Gallywix provided. Heh heh… I never woulda thought this is where things would end up, after I told Sylvanas about Azerite. Y’know, every now and then I think, should I really have told Sylvanas about this whole Azerite thing? …HAH! I’m just kiddin’! Of course I don’t care about that stuff, I’m flying a freakin’ mech that shoots lasers made outta the planet’s blood! But what if he hadn’t blabbed? How would the Battle for Azeroth play out if the Horde and Alliance had remained stand-offish, but not in outright hostilities? Only a Bronze Dragon knows for sure — but that doesn’t mean we can’t theorize. Events leading up to the War of Thorns would be vastly different if the discovery had been delayed. With both sides posturing for dominance — but not having a highly volatile new weapon to clash over — there would’ve been no need for Sylvanas to make a move on Teldrassil. Without a flow of Azerite to worry about, there would be no reason to control the shipping lanes. Teldrassil would endure as the Night Elves’ capital. In turn, Anduin wouldn’t lead a siege on Undercity in reprisal. The Horde and Alliance would still be searching for something to help shift the balance. The biggest change is the timeframe. Both the Horde and Alliance are sprawling organizations with forces spread over two large continents. Mobilization takes time, and every delay changes the landscape of the islands. Where before champions arrived in time to thwart plans and beat back armies, now they show up too late to do more than feed the hunger of Old Gods. But Azerite didn’t play a role in everything. Even before we knew what it was, Princess Talanji was coming to Orgrimmar to enlist the Horde’s aid with the issues plaguing Zandalar. Blood Trolls and Sethrakk ran rampant in Nazmir and Vol’dun, while she feared forces in Zuldazar were conspiring against her father. Without the open hostilities and major losses incurred during the War of Thorns, Sylvanas wouldn’t have needed new allies for the Horde. Which would make it harder for Princess Talanji and Zul to solicit the Horde’s assistance in securing their borders. Time wouldn’t be on the Zandalari’s side either, as the whole time Talanji and Zul were away, the Prophet’s nefarious plans to seize power and free his master G’huun would be churning away. Unchecked Blood Troll aggression and the sundering of the remaining seals holding G’huun in place would make for a vastly different homecoming for Talanji. Zandalar would fall to corruption, and any Zandalari who managed to escape would have to fight to reclaim their ancestral homes. With G’huun unleashed, the very lands of Nazmir would begin to change. As more aberrations escaped from Uldir it would get more and more dangerous to be near the ancient Titan vault. Without the Zandalari army to keep the Blood Trolls penned in, they would run rampant over Dazar’alor and surrounding areas — disrupting the heart of the Zandalari empire. There would be no staging area in Dazar’alor for the Horde to strike from. The only option would be to set up on the islands south of the port of Dazar’alor, a safe base of operations while they ascertained what exactly went wrong. Linking up with the Vulpera resistance forces in Vol’dun would be a good start, offering valuable clues as to who was responsible for G’huun being freed. Zul’s treachery would soon come to light, and stopping him would give the Horde their first major objective in cleansing Zandalar. The Alliance wasn’t looking for a new fight, but they knew they couldn’t allow the Horde naval dominance via an alliance with the Zandalari. It would lead to unbridled aggression throughout the seas, and the Alliance had to act. But the delay was too great. Kul Tiras had proudly remained neutral ever since the events of the Third War and Daelin Proudmoore’s death. Convincing them to rejoin the Alliance was an uphill battle that neither the Kul Tirans nor the Alliance realized they didn’t have time for. Jaina should’ve been their ace in the hole, helping pave the way and making the unification go smoothly — but she didn’t expect how much she was despised at home. While the Alliance and the Kul Tirans played politics, threats long since ignored have been quietly building strength. Without the extra power of Azerite weapons and armor, the Alliance army doesn’t have a hope of stemming the tide entirely. Naga sent by Queen Azshara are wreaking havoc across the Stormsong Valley, disrupting the food and naval production that is so important to maintaining the strength of Kul Tiras. 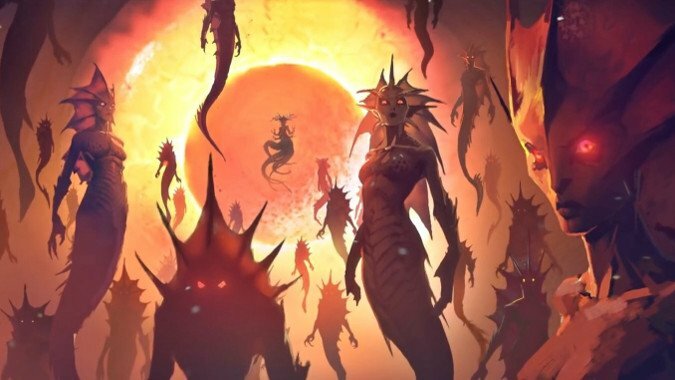 With the focus pulled to the Naga, the Tidesages are free to keep their dark rituals active, allowing the faceless minions of N’zoth to proliferate throughout the Shrine of Storms, and eventually infiltrate the mainland. Between the Tidesages and Naga forces, N’zoth would have a strong foothold from which to build his power over Kul Tiras. The Naga aren’t the only forces Queen Azshara has on Kul Tiras: the treacherous Lady Ashvane is also working for her. Using her political influence to sour the potential re-unification of Kul Tiras and the Alliance is just the beginning. Lady Ashvane sets out to sow chaos all across Tiragarde Sound — knowing any setbacks will weaken Katherine Proudmoore’s influence, giving her more opportunity to seize political power. With the sundering of Daelin’s gate and issues securing Stormsong Valley, the Kul Tirans people were ready for a change. Lady Ashvane uses this to her advantage to convince Katherine to cede power to her. Katherine would realize too late what a mistake she’s made, as it becomes clear that Lady Ashvane was working with the forces arrayed against Tiragarde. Finally, Katherine throws her remaining might in with the Alliance. The first step is to reclaim her daughter, who was imprisoned by the Drust and forced to relive her greatest regrets. 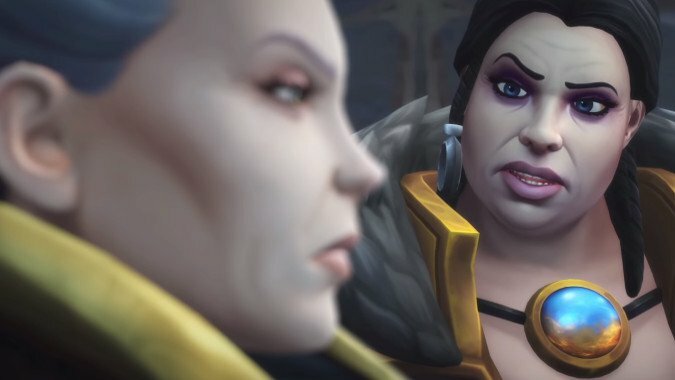 Freeing Jaina will be the first step to reclaiming Kul Tiras, but the nobility of Drustvar won’t make it easy as Lady Waycrest had been using the Drust’s dark magic to increase her own powers. Once the Alliance sunders the Coven she assembled, they can work to free the people of Drustvar — whose powerful magic will be a great boon in reclaiming the rest of Kul Tiras. The forces arrayed against them will be fearsome, and they’ll need all the help they can get. The Horde and Alliance both find themselves in major conflicts — with world-ending stakes. Both factions have overextended themselves, and their forces are being bled dry. 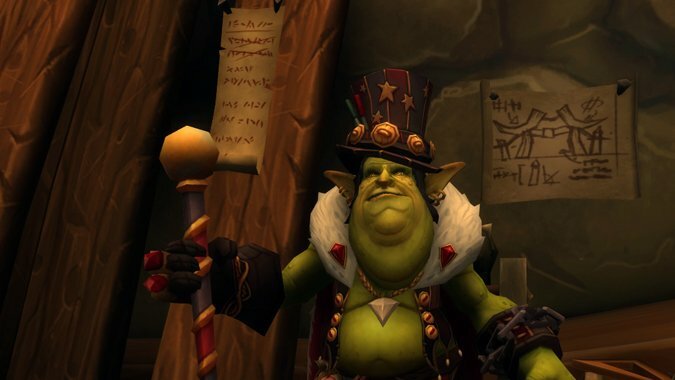 On Zandalar, if G’huun is allowed to grow to full strength he’ll usher in diseases that would put anything dreamt of by Professor Putricide to shame. On Kul Tiras, Queen Azshara’s Naga army and the Void minions of N’zoth are no less deadly. A single Old God is a big enough problem to deal with, but now we have two Old Gods. A swift resolution is needed before either become too much to handle. A truce between the Horde and Alliance would create an army large enough to stand a chance at stopping these threats. 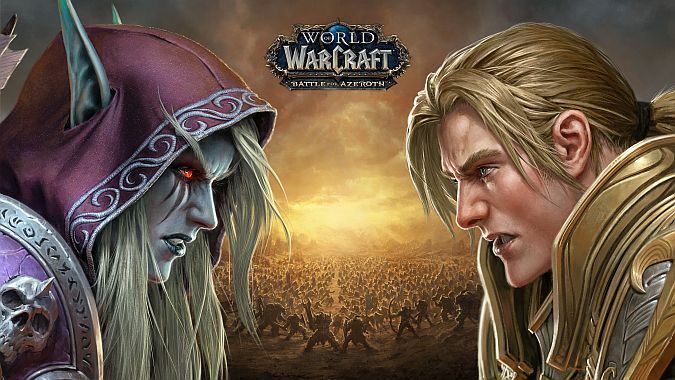 Sylvanas and Anduin may not like each other, but if they don’t work together there won’t be an Azeroth to fight over. 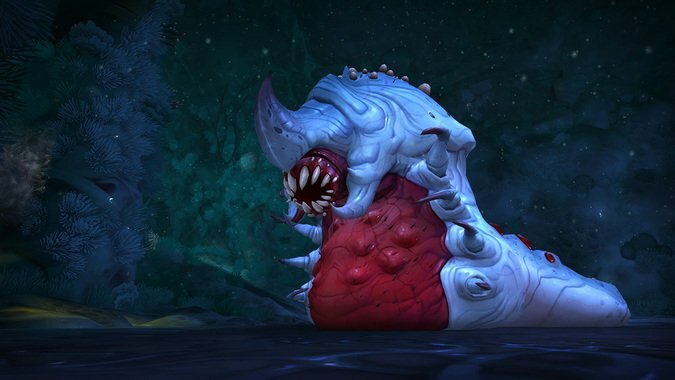 As the weaker of the two Old Gods, G’huun makes for a better first target, but a direct assault on Uldir would be a repeat of the Broken Shore debacle. He’s been free for too long, and become too entrenched. Sending their combined forces into a direct assault on Dazar’alor would make for a better starting point — the Prophet Zul has been sitting at the top of the pyramid for long enough. But reaching him won’t be easy, as the defenses of Dazar’alor are numerous and have been infused with the powers of G’huun. What was once a glorious golden city has become a monument to the power of the Blood God. Fallen Loa worshippers and corrupt golems stalk the halls of the pyramid, while Zul sends swarms of Blood Trolls and their beasts to delay you. After a hard-fought victory, there will finally be a foothold on Zuldazar. From there, armies could venture into the swamps of Nazmir. Uldir, the seat of G’huun’s power, awaits and it’ll take every trick and weapon available to ensure he falls. Deep inside the vaults, champions of the Horde and Alliance discover the remains of many of the Loa of Zandalar, as G’huun’s forces had been working to corrupt or kill any that would not submit. The last holdout is Bwonsamdi the Loa of Death. 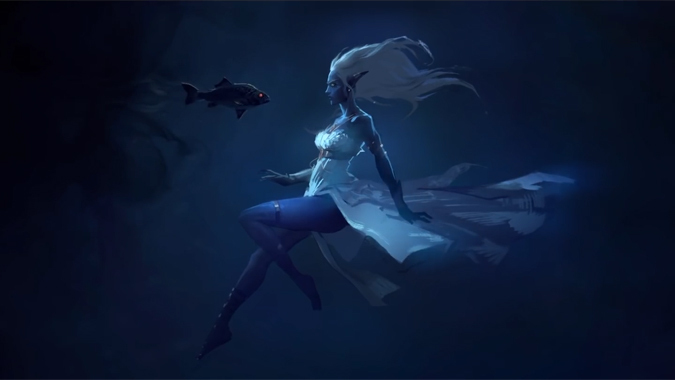 Making a deal with him would give the Horde and Alliance a powerful ally against G’huun and Queen Azshara, and no one’s in a position to turn away a potential ally. With the help of Brann Bronzebeard and the Titan construct MOTHER, G’huun would be stamped out. Finally, the vaults fall nearly silent. It’s time for the triumphant forces of Azeroth to turn their attention towards Kul Tiras. Boralus needs to be liberated from Lady Ashvane, while the Naga and followers of N’zoth have to be routed from Stormsong Valley. After the Kul Tirans return to a semblance of normalcy there would be time to investigate the ominous glowing emanating from the Crucible of Storms. Rumors are surfacing of a fresh wave of Naga coming from the city of Nazjatar, and N’zoth lurks behind the scenes playing puppetmaster. It knows that a truce born out of necessity isn’t the strongest accord. Such a thing could easily be broken by an expert manipulator. The leadership of both factions has ample reason to distrust the other, and it wouldn’t take much to convince Greymane and Sylvanas to resume fighting. They’ll never get along for long, no matter what’s at stake. Past the threat of N’zoth, Gallywix has been conspicuously absent from much of the fighting. Just because he didn’t share the secrets of Azerite with Sylvanas, doesn’t mean he hasn’t been tinkering on his own behalf. A new Goblin super-power could easily arise while the Horde and Alliance are distracted. Especially if they’re armed with mechs that shoot lasers made out of the planet’s blood. After all, the best way to be the richest Goblin in the world is to just take everyone else’s treasure.